Crisp broccoli and crunchy vegetables get tossed with sweet-tart cranberries and salty pistachios, then is tossed with a simple apricot vinaigrette that ties it all together. This salad—with countless variations—will be a new summer standard. 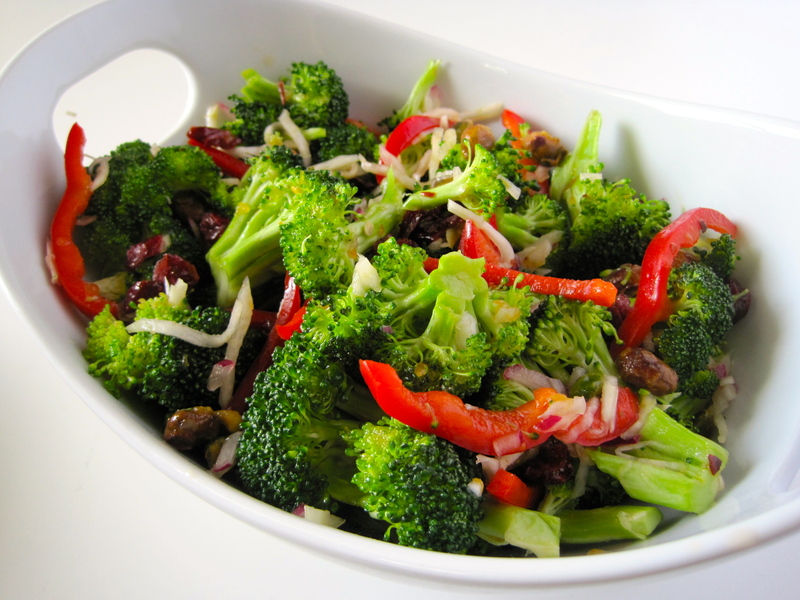 Put the broccoli, red pepper, fennel, onion, cranberries, and pistachios in a large bowl. Toss to combine. Put the apricot preserves, olive oil, and cider vinegar in a small bowl. Whisk to combine, seasoning with salt and red pepper flakes to taste. Pour the vinaigrette over the broccoli mixture. Toss to coat. Refrigerate for at least 4 hours before serving.